"friday-lunch-club": Back ... again, and again ...and again! Back ... again, and again ...and again! The tempest over al Baghdadi’s comments is likely to pass, and the two Qaeda groups will continue to collaborate closely. Both in Syria and Iraq al Qaeda is growing in numbers and power at a dangerous pace. And with Zawahiri’s encouragement, al Qaeda’s support base across the Islamic world is funneling sympathizers to go to Syria and Iraq to join the fight. 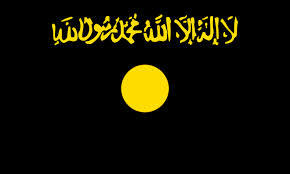 In his statement Zawahiri makes clear the end state is creation of a new caliphate across Islam ..."